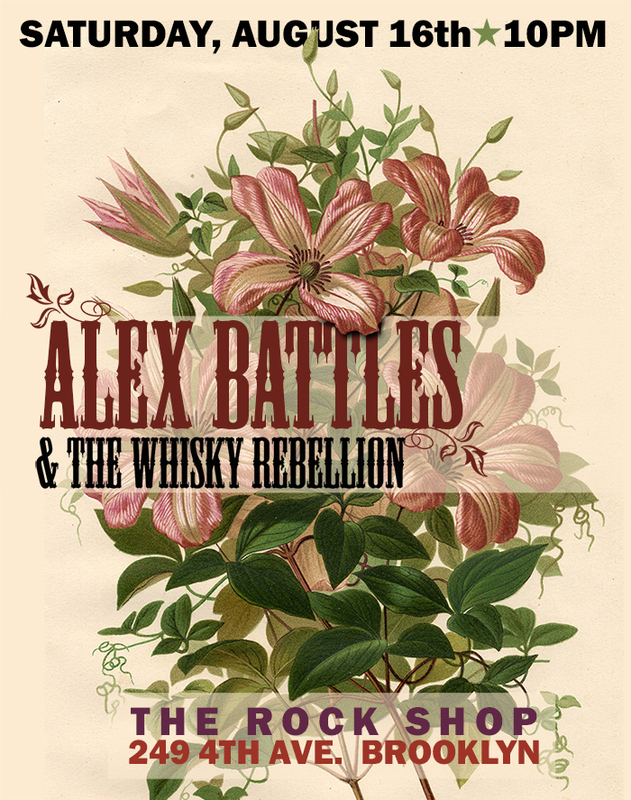 Alex Battles & The Whisky Rebellion at Rock Shop in Park Slope! We’re excited to be playing the Rock Shop in Park Slope, Brooklyn on August 16, 2014. Rock ‘n’ Roll fans may recognize that date as the anniversary of Elvis Presley’s passing. As such, we’ll be playing some Elvis songs in addition to our usual round of originals and surprises. Be sure to get there early for a couple of great bands, Sean Kershaw & The New Jack Ramblers and Tatters & Rags, as well as DJ Chris Matheson. Advance tickets are strongly recommended and are available here.